Due to rain, the match is a little bit delayed. Umpires will inspect groundÂ at around 7:30pm. Even the toss is not done yet. 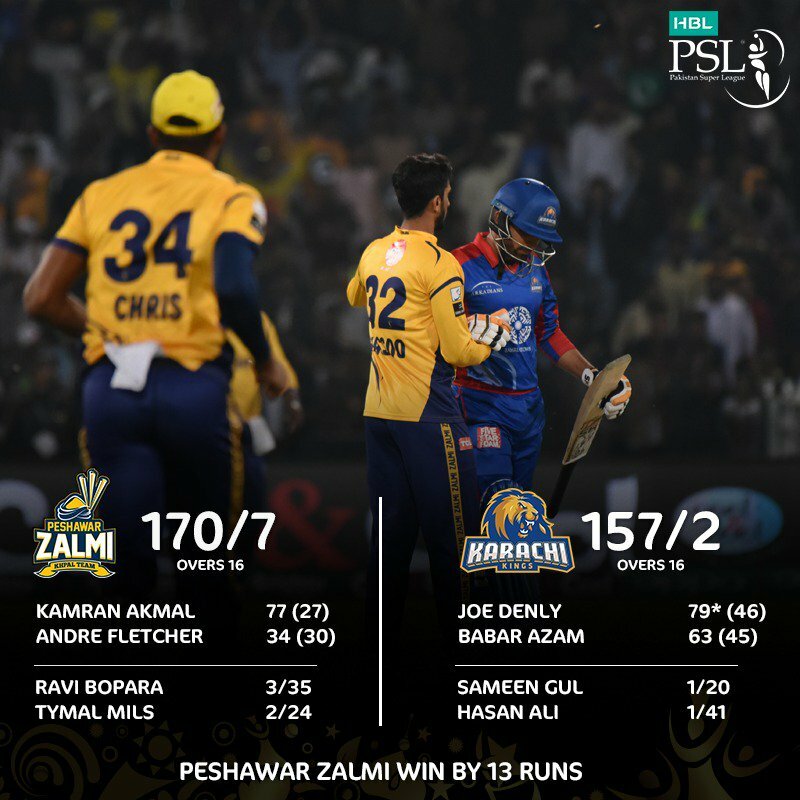 Let's say if the match is washed out, it means based on previous formula Karachi Kings (as they were ahead of Zalmi in points table) will go into finals!? After injury twist we have another twist and that is match has been reduced to 16 overs. Let's see how both captains behave in this scenario and if they change any batting lineup or not. 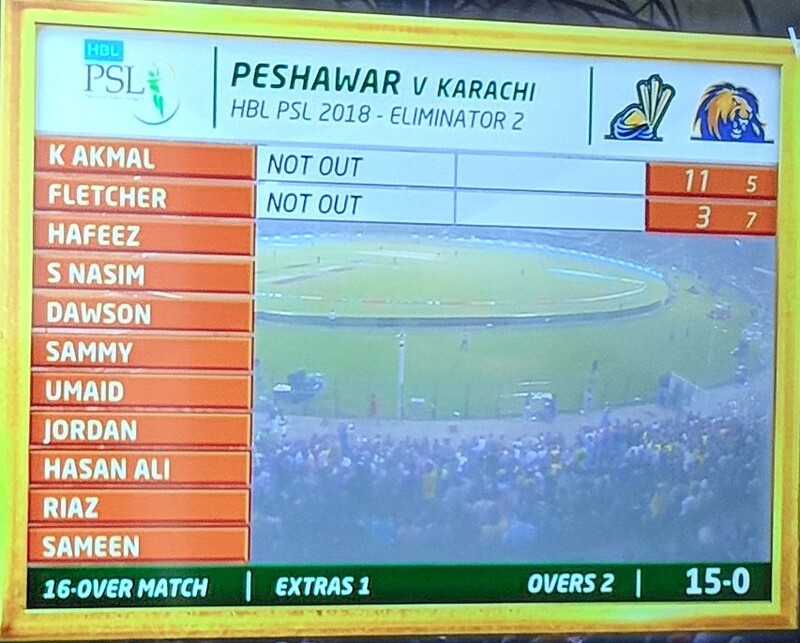 Karachi playing with following replacements today. 1. Zulfiqar Babar as cover for Imad Wasim who is recovering from concussion. 2. Mukhtar Ahmed as cover for Shahid Afridi who has a knee injury. 3. Danish Aziz as cover for Mushtaq Ahmed Kalhoro who has a left ankle injury. 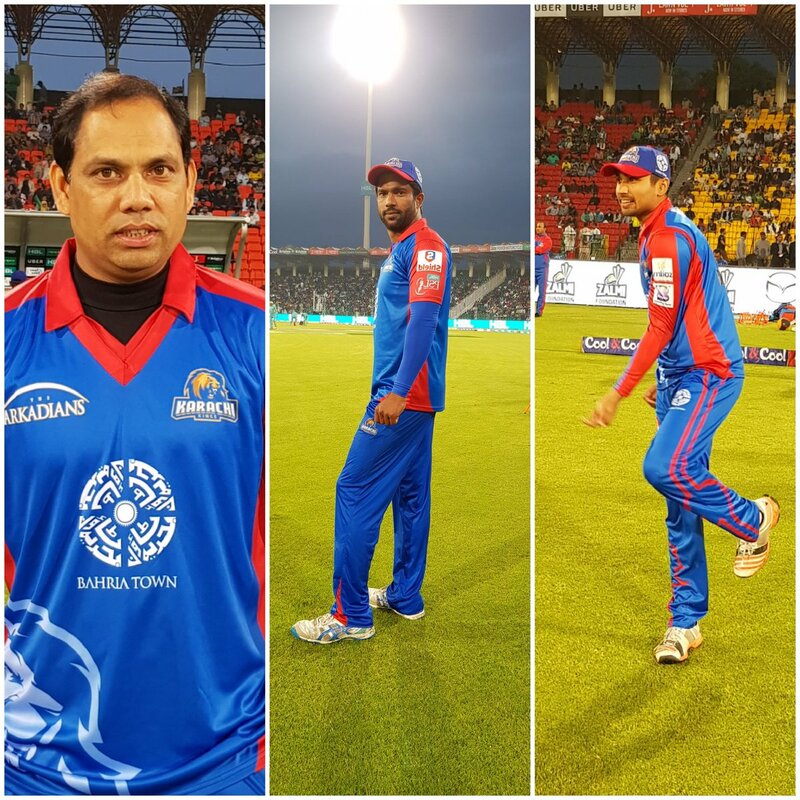 (03-21-2018, 07:06 PM) hussain Wrote: Even the toss is not done yet. 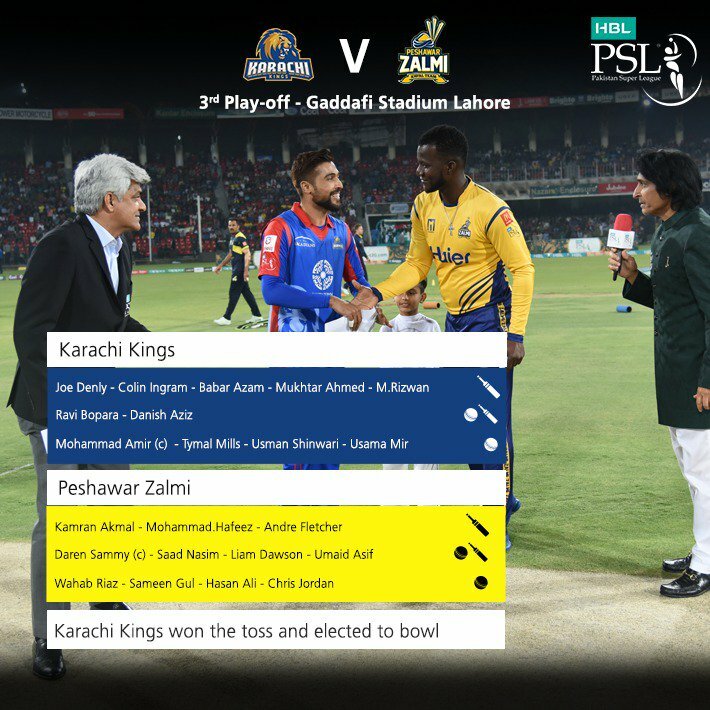 Let's say if the match is washed out, it means based on previous formula Karachi Kings (as they were ahead of Zalmi in points table) will go into finals!? But I am not sure if Amir is right choice for captain. This is a pressure match and need someone who had been captain before like Bopara. Can he focus on bowling and captainacy at the same time!? That's why you hardly see any bowler being captain in International matches.